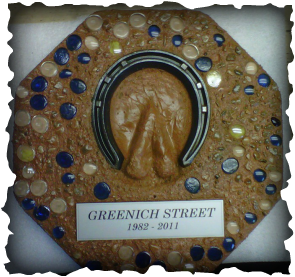 These stepping are made individually, to remember our special partners, friends, and pets. 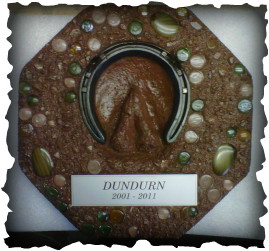 Each stone can be personalized with the actual shoe the horse wore. 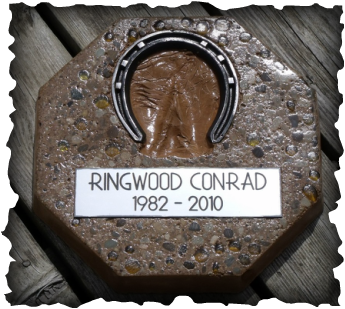 Plaques can be engraved with whatever information, you would like to have. Other options include colored glass and color in the stone. 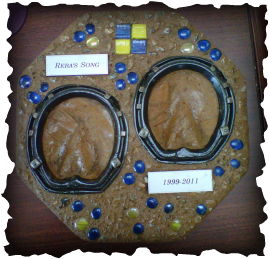 These memory stones are made one at a time and only available by custom order. 3-4 weeks for delivery.